The Apple event last night gave us all the awaited details of the new flagships and other devices including the Apple Watch and Apple TV updates. Here we take a look at the iPhone 8, iPhone 8 Plus and iPhone X announcements that came out of the first event held in the Steve Jobs theatre. The iPhone 8 was made official at the event, with lots of new features explained and a beautifully crafted design. The iPhone has always been known as a quality product, and Apple was keen to point out the latest iPhone is top notch when it comes to construction. The metal band surrounding the phone is made from 7000 series aluminium, while the glass front and back are multi-layered and precision engineered for durability. The iPhone 8 has a 4.7-inch Retina Display and the chassis is water-resistant. The performance gets a boost with the new A11 Bionic chip, this features four efficient cores that are 70% faster, two performance cores that are 25% faster and the three core GPU that delivers 30% faster graphics. This advanced processor allows the handset to be used with Augmented Reality apps, these were demonstrated during the event, taking the game play and layering it over the world around you. The Apple iPhone 8 has the latest iOS 11 with the new and improved Siri, a fingerprint sensor and the glass back allows for wireless charging. The camera package has been improved with a 12MP camera with a larger sensor and a 7MP selfie camera. These cameras support the new Portrait Lighting mode, with professional lighting choices such as stage lighting, for professional and unique images. The Apple iPhone 8 Plus has the same construction as the iPhone 8 using the most durable smartphone glass ever. The same new A11 Bionic chip is on board, so AR games and apps are a big focus – we can expect lots more of these being released soon. The visual experience is offered on a large 5.5-inch display, which shows fine detail at 401 pixels per inch. True Tone brings richer colours and the iPhone 8 Plus senses the environmental light, in order to automatically adjust the white balance. Further features include iOS 11, Siri, a fingerprint sensor and water resistance. The iPhone 8 Plus has a dual 12MP camera, consisting of a wide-angle lens and a telephoto lens. These lenses enable optical zooming and the capturing of blurred backgrounds. Portrait Lighting is also on the 8 Plus for adding lighting effects. There is also a 7MP camera for taking selfies. As this is the 10 year anniversary of the iPhone, Apple delivered another smartphone device at the event. 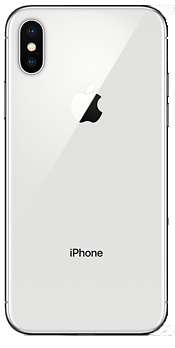 The Apple iPhone X (iPhone 10) has a surgical grade steel frame and a front and back made from the same durable glass used on the iPhone 8 and iPhone 8 Plus. 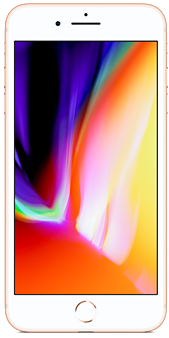 The 5.8-inch Super Retina HD screen fills almost all of the front face of the iPhone X and this can show HDR content and videos, with a resolution of 1125 x 2436 pixels. The new Face ID biometric security system is so secure that there is only a one in a million chance of an error. This is achieved through the mapping of 30,000 dots on a face and Face ID can work day or night. AR (Augmented Reality) plays a huge part on the iPhone X and brings AR games and AR apps to Apple fans. The 7MP TrueDepth camera can also track fifty facial muscles for creating Animoji animated expressions and emoji chat. This was demonstrated during the event and looked to work very well in real-time. The 12MP dual camera has a 12MP telephoto lens and a 12MP wide angle lens. These can be used to capture bokeh effects or as an optical zoom. The event was used to show off these devices, and the new glass back design allows these phones to have wireless charging support. Apple showed off a new wireless charging mat, that they hope to release shortly. This would allow the iPhone, Apple Watch and Earpods (in the wireless charging case) to all be placed on the mat for recharging at the same time. The price for the iPhone X was listed as $999, making it the most expensive model to come from Apple so far. 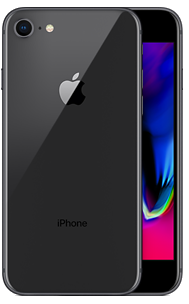 Pre-orders are being taken on the iPhone 8 and iPhone 8 Plus from the 15th September, so for anyone wanting to get their hands on one quickly a pre-order would be the way to go. Handsets will shop from 22nd September, with numbers expected to fly out fast. What do you think of the new iPhone lineup? Did you watch the launch event? Will you be buying one of the new iPhone models? Share your thoughts below or join the conversation on Google+.